The video I posted yesterday showing an Israeli soldier shooting a Palestinian in the head has gone viral in the past 24 hours or so, and even the mainstream media, including the Washington Post and Time Magazine, have been reporting the story. The video shows a group of soldiers and medics standing around Abdul Sharif, lying prone and incapacitated on the street, with one of the soldiers stepping up and pumping a bullet into his head. Sharif is the young man on the right in the above picture. 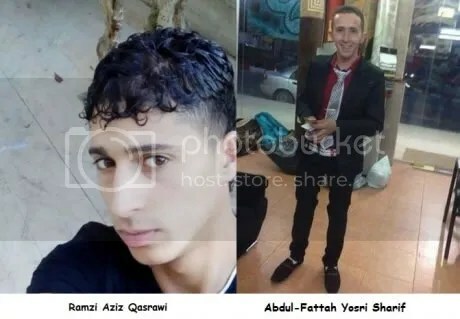 Both he and Ramzi Aziz Qasrawi were killed yesterday after an alleged stabbing attack on an Israeli soldier. Both were 21 years old. Yesterday, of course, was also Purim day celebration in Israel–the annual holiday event marking the massacre of thousands of Gentiles, as told in the Old Testament book of Esther. This is one aspect of the shooting of Sharif and Qasrawi that the mainstream media don’t seem to be mentioning, probably out of a deliberate desire to play it down. Purim customarily involves excessive consumption of alcohol, and according to areport on Mondoweiss, a large number of Israelis took over Hebron’s Ibrahimi Mosque at one point and began using its loudspeakers to sing racist songs calling for the expulsion of Palestinians from the city. 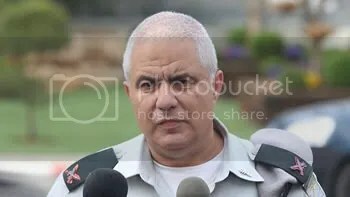 The mainstream media are reporting that the soldier who executed Sharif has been arrested, and an Israeli general has attempted, somewhat ludicrously, to portray the whole thing as some sort of stunning aberration. “This is not the IDF culture or the Jewish peoples’ culture,” said Brigadier Gen. Moti Almoz. Perhaps Almoz hasn’t heard the news that Israel is a sick society, as confessed by the country’s own president. Ma’an News is reporting today that the Palestinian cameraman who shot the video footage of Sharif’s execution has now found himself the target of threats and harassment. Israeli settlers on Friday gathered outside the home of a human rights worker in Hebron to hurl abuse at him, a day after he captured on camera an Israeli soldier’s killing of a wounded Palestinian that has sparked international outcry.